The HTC Explorer, code-named HTC Pico, released at the end of September 2011. It is meant to be a low-end Android smartphone. 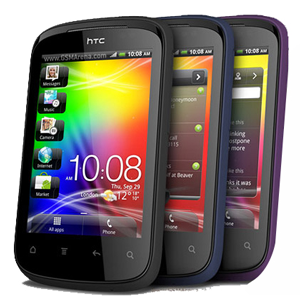 Using Android 2.3.5 Gingerbread as the OS, the Explorer has HTC Sense 3.5 as the built-in user interface. Unlike many other HTC phones, the Explorer uses a plastic chassis. The 3.2" screen has a display resolution of 320x480. The HTC Explorer has an unlockable bootloader.